DjVu is a computer file format used for storing eBooks and scanned documents. The DjVu file format uses the extension .djvu or .djv and is developed as an alternative to PDF. 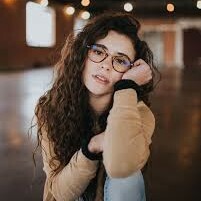 It uses technologies such as arithmetic coding and lossy compression for achieving the fast and small loading of high-quality and readable images. If you come across a DjVu and wonder how to open DjVu file on Mac, you can choose to either convert it to PDF or use DjVu Viewer Mac OS X. There are many online DjVu to PDF converter tools for you to convert DjVu to PDF online. You can just search for online DjVu to PDF converter on Google and find a tool that suits you best. Some websites even provide online service so that you do not need to download software. Therefore, in the following, I am going to talk about the second method to open DjVu file on Mac. 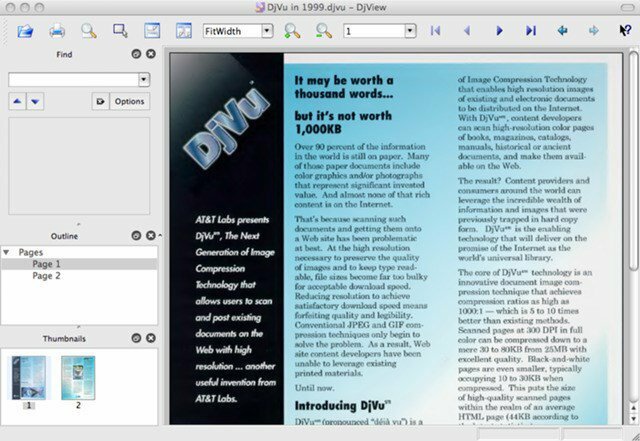 To open a DjVu file on Mac, you need to download a DjVu viewer Mac OS X. DjVu viewer Mac OS X is a .djvu file reader enabling you to open and view DjVu files on Mac and convert DjVu to PDF mac. Although there are many types of DjVu viewer Mac OS X on the market, the basic functionality is almost the same. 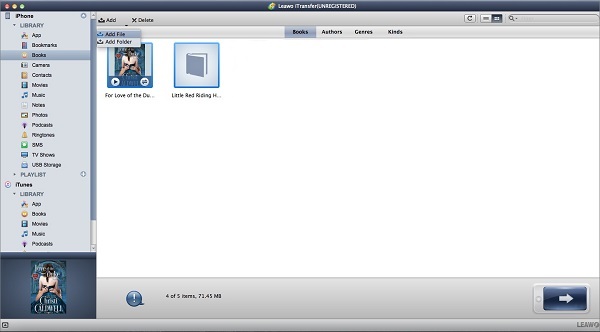 The following introduces how to open DjVu file on Mac using DjView4. DjView4 is a user-friendly product designed to view and manage DjVu files on Mac. The procedure for opening a DjVu file is simple: download the software, install it, right-click the DjVu file you want to open, and choose to open it with DjView4. File conversion from DjVu to PDF may result in quality losses and some DjVu viewers do not have enough functions to facilitate better reading experience. Therefore, you may wonder how to read DjVu files on Mac effectively. 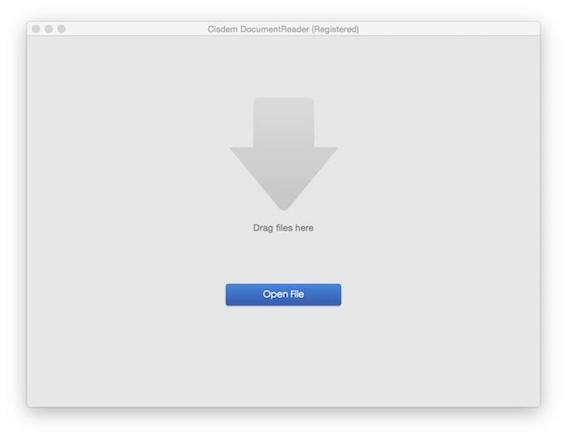 I would like to recommend Cisdem Document Reader. 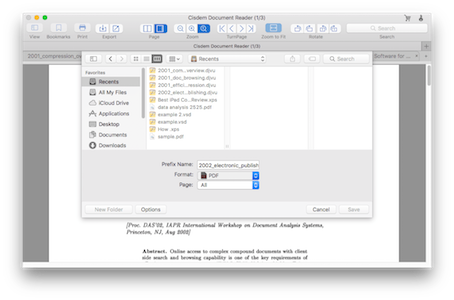 Cisdem Document Reader is professional and well-developed software that can view a variety of file formats such as DjVu, PDF, WPS, Visio on Mac. In addition, you can convert DjVu to PDF mac. The following introduces how to read DjVu files on Mac. 1. Install the Cisdem Document Reader software and run it. After you launch the software, you will find a window as follows. Click “Open File” to choose a DjVu file or drag a DjVu file to the window. 2. After you click the button or drag a file, you need to wait for a few seconds to let the loading complete. When the loading is ready, you can view and read the file immediately. 1. You can use “Keyword Search” function to search for the information you want. Just enter the keyword in the search box in the upper-right corner and all contents that contain this keyword will be displayed at the left side of the window. 2. 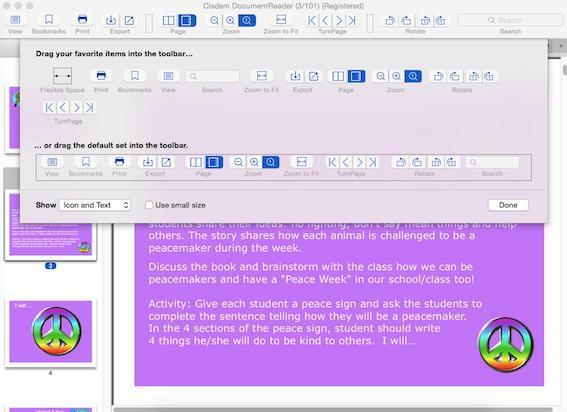 During your reading, you can use the functions offered by the toolbar, which consists of table of content, page thumbnail, searching panel, bookmark, page navigation, zoom, and rotate. Though DjVu is considered to be an alternative to PDF, it does not have the same popularity as PDF. Therefore, DjVu users may need to convert DjVu to PDF Mac. As I mentioned before, DjVu users can either use online converters to convert DjVu to PDF or download DjVu readers to save a DjVu file as a PDF file. The following introduces how to convert DjVu to PDF using Cisdem Document Reader software. 1. Launch the Cisdem Document Reader software. 2. Click the first button on the export area. 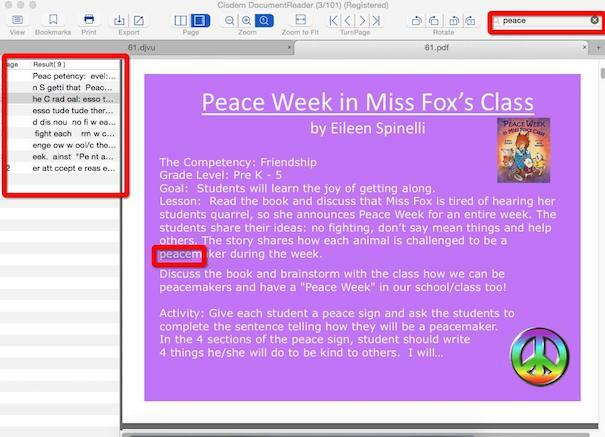 On the dialog box that is displayed, choose a DjVu file you want to convert to PDF and click “Save”. ☉ copy files among iOS devices, iTunes and PCs with ease. ☉ copy up to 14 kinds of data and files without iTunes. Go to the official website to download and install Leawo iTransfer. 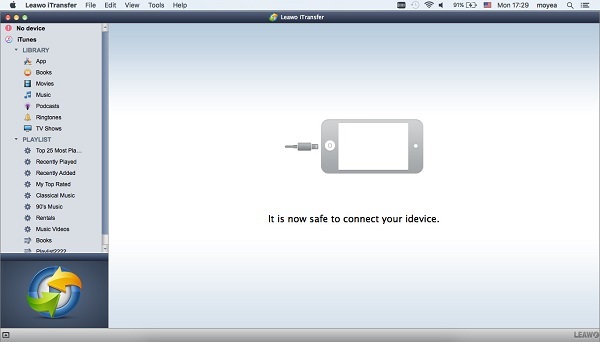 Connect iPhone to your computer and the software will automatically recognize your device. 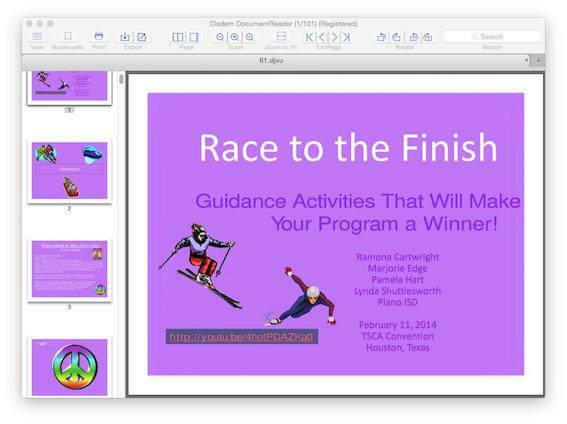 You already have PDF files on your Mac. Now move your mouse to “iPhone” and click on it to choose “LIBRARY > Books” in the left sidebar. In the top middle area, choose “Add > Add File or Add Folder” to upload PDF from Mac to iPhone. You could also transfer the existing books from your iPhone/iPad to computer as well.